The Coronado Solarmax 40 H-alpha solar telescope was mounted on a well aligned driven HEQ5 mount set to solar rate tracking. A DMK21AS camera fitted with a UV/IR cut filter was placed at the prime focus and an AVI of 10,000 frames was captured at 60fps. The AVI was registered and stacked in Registax 6, using the best 500 frames. 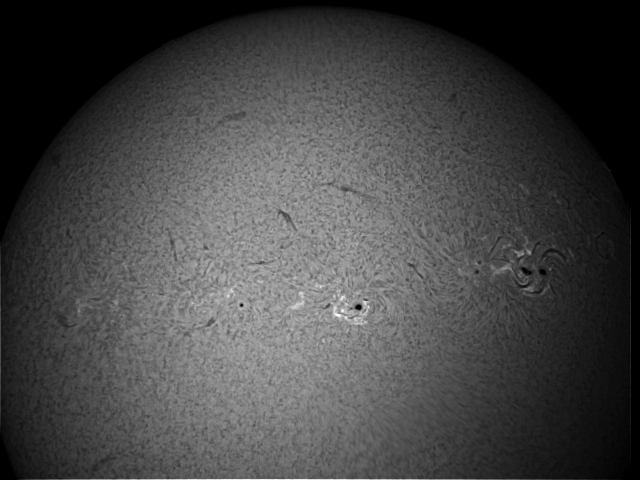 AR1302 can be seen on the right with AR1305 in the middle. 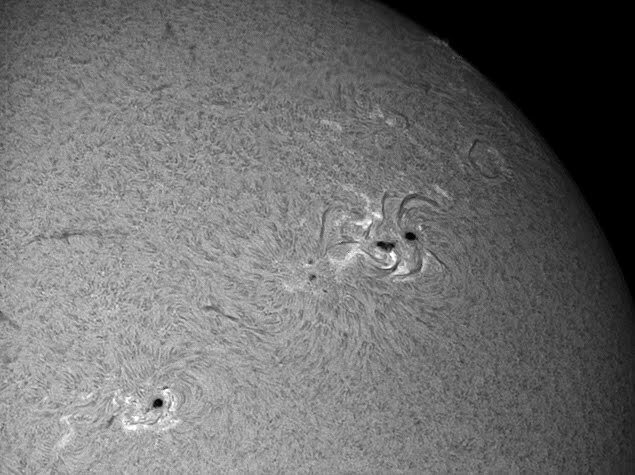 Other smaller active regions were also visible. The disk is seething with magnetic activity. The lens assembly from a x2 Barlow was attached and a larger image of AR1302 and AR1305 was obtained. As before, the best 500 out of 10,000 frames were registered and stacked in Registax 6. About 3 hours before we captured these images AR1302 and AR1305 erupted in close succession revealing a long distance entanglement.